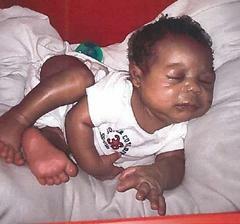 **Update** on missing six month old Jacsun Manson. searching the El Sobrante Landfill in the City of Corona, where we believe Jacson’s body may have ended up. Arrest warrants for murder have been issued for both Adam Manson and Kianna Williams, who remain in the custody of the Los Angeles County Sheriff’s Department.